Who are the main people involved with the process? What is the most likely sequence of events? As we approach April 12th, the new date for the UK leaving the EU, the leaving date has been postponed again, with a flexible extension to October 31st. But what does that mean, how did we get here and what will happen next? Here's a handy guide to all things Brexit. At the 2015 General Election, the Conservative party included a promise in their manifesto to hold a referendum on membership of the European Union, as they were worried about losing seats to the euroskeptic party, UKIP. UKIP had campaigned for decades to secure the UK's exit from the EU and then leader, Nigel Farage, connected with more people due to his polished PR presence. The Conservatives surprisingly won a small majority at the 2015 election and put the referendum into action. Just over a year later, after a fraught campaign that saw lies presented as facts, now-confirmed illegal activity from the Leave campaign and possible corruption from the Remain campaign, and the shocking murder of Remain-campaigning Labour MP Jo Cox, the country went to the polls and narrowly voted to Leave, by a margin of 52%-48%. Prime Minister David Cameron resigned and Theresa May took over and in March 2017, parliament voted to start the process of leaving the European Union which should have taken exactly 2 years, with the UK leaving on March 29th this year. Theresa May then called a new 'snap' general election to secure a majority and make her negotiations easier, but in another surprise result, Labour saw something of a resurgence and overcame a huge defecit in the polls to increase their seats, taking enough from the Conservatives that they lost their majority. To keep a functioning government, Theresa May forged a 'confidence and supply' deal with the Democratic Unionist Party of Northern Ireland, which in theory should back up government policies to win a majority for their suggestions in parliament. There have been a number of mistakes, misjudgements, surprises and moments of alarming coincidence throughout all of this that have influenced everything that has happened with Brexit in the last two years. 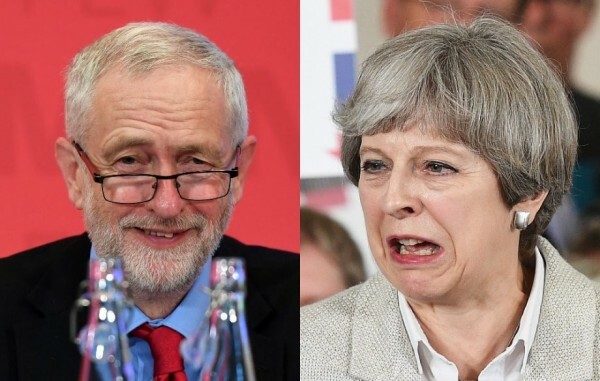 Theresa May and Jeremy Corbyn as the leaders of the two main parties have both had difficult jobs as factions within their own parties are proving impossible to keep together. Stephen Barclay, the Conservative MP for North Eastern Cambridgeshire is the current Secretary for exiting the European Union, and has a major role in negotiating and implementing the withdrawal agreement. 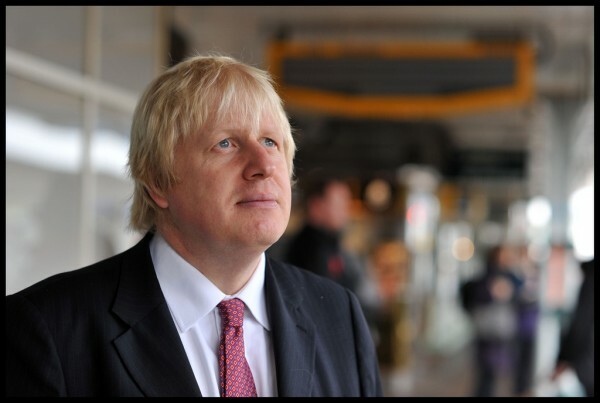 Boris Johnson, a Tory MP who championed Leave during the referendum famously declined the opportunity to take over the party (and country) after David Cameron resigned. Accusations have therefore been leveled at him that he knew how damaging Brexit could be and is waiting to take over when everything inevitably goes wrong. A lot of politicians look up to him and he commands enough support that what he decides to do regarding Brexit will take a lot of people with him. Jacob Rees-Mogg is the chairman of the European Research Group, a euroskeptic wing of the Tory party. The group may have a misnomer as the members don't like being European and there is little evidence they have done too much research. Rees-Mogg and the ERG have a lot of sway within the party and therefore government and have so far derailed all plans for a softer Brexit. 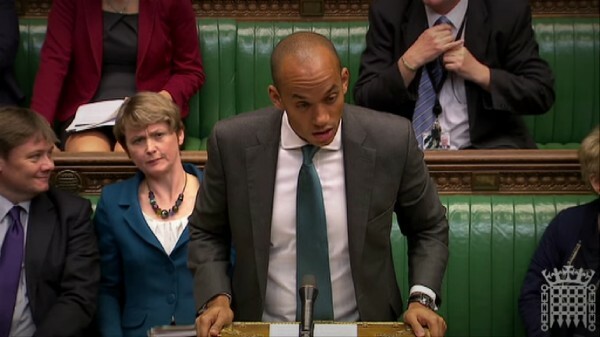 Chuka Umunna and Anna Soubry are former high-profile members of both parties who quit to form a new centrist group committed to reversing the referendum decision and staying within the EU. Questions have been levelled at them as to why they did not join the idealogically aligned Liberal Democrats, and why they and their colleagues have not held by-elections for the fairness of their constituents. James Dyson, Simon Wolfson, Arron Banks and Duncan Bannatyne are all business leaders who support Brexit in one form or another. James Dyson has moved all of his assets to Singapore and Arron Banks is in all sorts of trouble for a series of allegations over the conduct of his Leave.EU campaign. He also said, "blackmailing Brexiteers to tone down their campaign is a new low," after calls were made to suspend campaigning following Jo Cox's murder, and shortly after approving advertisements claiming her murder had been politicised for the Remain cause. Make of that what you will. JK Rowling, Steve Coogan, Delia Smith and Richard Branson are influential figures supporting a second referendum, or unilaterally revoking Article 50. Steve Coogan poked fun at Brexiteers by having his character, bumbling presenter Alan Partridge cheerlead Brexit. Richard Branson has been one of the foremost business voices warning Britain's economy and jobs will be seriously at risk after Brexit. Why haven't we left already? The UK was due to leave the EU on March 29th, but an extension was requested and approved. Article 50 of the Lisbon Treaty sets out the rules for a member EU state leaving the union. It stipulates once this article is triggered, that state has exactly two years until it officially leaves, during which time trade agreements, political agreements and frameworks should be negotiated and agreed to make the smoothest transition for the state. The Article was written so that tyrannical dictatorships could not maintain influence on the Union and a member state leaving for domestic political reasons was not forseen and so the process has been tricky. A lot of any deal cannot be legally confirmed until the UK has left the bloc, but a lot of politicians don't like the uncertainty of commiting to a definite exit without assurances. Parliament voted to ensure the Prime Minister had to put her deal to a 'meaningful vote' in parliament before it could be put into action and this has prevented any deal from so far being agreed. Theresa May negotiated a deal which has been agreed and raitified by the EU and the other 27 member states but parliament has rejected it three times. Politicians had two major concers with May's deal - the first being the 'blind Brexit' problem. This is a number of vague definitions for the future framework for leaving the EU which could see a few cabinet ministers decide on trading laws, workers rights and other EU directives without the approval of a parliamentary majority. The majority of the Labour and other opposition parties oppose her deal for this reason. The DUP dislike it because they don't want Northern Ireland treated differently to the rest of the UK, they are unionists after all, and hardline Tories don't like it due to a fear of the UK being locked into EU rules indefinitely, even though this is practically unlikely. Theresa May tried to get EU assurances to the backstop agreement so her party and the DUP would pass it, but the change was not enough to get enough MPs' support. Currently, representatives from the Conservatives and Labour are meeting to see if they can find a compromise on May's deal for it to pass the house. However, Jeremy Corbyn, Keir Starmer and Rebecca Long-Bailey, all representing Labour have said May has not made any movements on her deal. There are several possible outcomes to this whole process although which will happen is anyone's guess. The UK needs to make a decision by October 31st, but can leave earlier should the Prime Minister's deal be agreed. Leaving without a deal is still a distinct possibility despite parliament voting against such an idea several times. It remains the legal default and means the UK will cease to be in the EU with no trading or political agreements in place, and no transition period to ease the country into it. With the large amounts of food and medecine the country imports, especially at this time of year, leaving in such a way could cause complete chaos. It seems more likely at the moment, the EU will grant another extension to the UK, but there will likely need to be a compromise. This could be another referendum on EU membership or a general election, or a renegotiation of the withdrawal agreement if Labour and the Tories can agree on a way forward. The second referendum is contentious, largely because people don't know how it will work. Do you have it as May's deal vs Remain? If so, Leavers will feel aggrieved if they don't like the deal but still want to leave. May's deal vs no deal has the opposite problem and also has the potential for no deal being impossible to accurately promote, leading to people being convinced by more lies. Other options, such as Labour's deal, common markets and so on, may not be possible to negotiate if the EU don't like it. A simple re-run of Leave vs Remain attracts criticism for being somewhat underhand seeing as we've already had an answer to that question, however with the Leave campaign exposed as lying, could potentially be justified, although the papers would villify such an announcement. If more than one option is included on the ballot, it's possible the vote between different types of Brexit could be split, allowing a Remain or no deal vote through accidentally. A general election could either happen following a vote of no confidence, which is looking more likely, or a call for it from Theresa May, although the latter requires two thirds of MPs to vote for it. This is unlikely as the Tories face unprecedented destruction at the polling stations and will not vote for their own demise. As any withdrawal agreement must be passed by parliament, cross-party talks between the two biggest parties is probably the only way any passable deal can be found. The UK could revoke Article 50 and cancel Brexit, but again this requires the approval of the house and is therefore also unlikely.